Metropol Spa Hotel offers modern rooms with Wi-Fi, a fridge, a dressing area, a personal computer and direct dial telephone to make stay in Tallinn even better. Room facilities include an electric kettle and a dishwasher as well as a pillow-top mattress, foam pillows and feather pillows. Guests may find the pub Restaurant O within 250 meters from the venue. The hotel offers a baggage storage, a safety deposit box and a hairdresser for general needs and a business center and a conference room for corporate travelers. The property indulges guests with a spa centre, a Jacuzzi and a sauna as well as a gym and a fitness centre. Number of rooms: 81 guest rooms: 62 Standard Double rooms, 8 Superior Double rooms, 5 ZEN Double rooms and 6 ZEN Deluxe rooms. Standard room equipment: in-room high-speed Wi-FI connection, air conditioner, flat screen TV with a selection of local and international channels, telephone, mini safe, minibar, tea kettle, conditioner, hair dryer and shower. 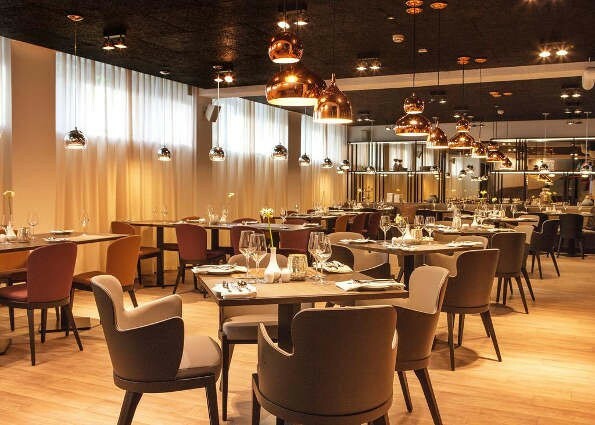 Restaurants & Bars: Restaurant 100 – a journey through the history of Estonia over the last 100 years, all-day dining restaurant seats precisely 100 guests. The restaurant features a daring minimalist design combing industrial elements with modern style and creates an atmosphere which is hip and cozy at the same time. Description: Centennial is a modern Hotel and Business Center in the heart of Tallinn, located right next to the Kaarli Church and National Library on Endla Street. The Building is divided into two separate business areas, Business Center and Hotel which are connected by a spacious atrium and lobby. All of the guest rooms are freshly renovated and decorated in a Nordic minimalistic style with light wooden floors and Estonia's centennial anniversary is reflected in the artistic design of the hotel featuring the main periods in the history of Estonia over the last 100 years. Standard room equipment: fully equipped sitting and working area with a writing desk and a comfortable chair, a plush armchair for relaxing, LED-Screen Satellite Televisions, telephone, Internet (Wi-Fi), In-Room Safe, fully stocked mini-bar, coffee & tea making facilities/machine, alarm clock, hypoallergenic bedding, hairdryer, bathrobes & slippers, fine toiletries, lighted make-up mirror, shower or bathtub. Other facilities: 5 SPA treatment rooms; spacious Wellness Centre (15-metre overflow indoor swimming pool with hydro massage jets, Turkish steam room, therapeutic aroma room, BIO sauna, traditional Finnish sauna, Jacuzzi, ice fountain, experience shower, rest and relaxation area, heated lounges and seating area); Fitness Centre; drycleaning and laundry services. 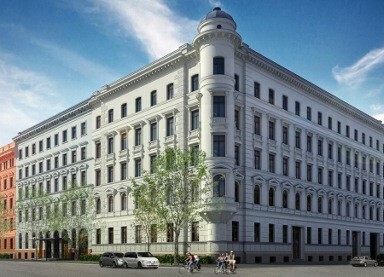 Description: Located in the very heart of historic Riga, just steps from the Freedom Monument, Old Town Riga, Latvian National Opera and directly overlooking the Bastion Hill, Grand Poet Hotel is perfectly positioned with easy access to key business and diplomatic centres, historical sites, shopping and the city’s trendiest landmarks. The 5-storey hotel offers 168 stylish 5 star superior accommodations, including 20 ultra-luxury suites - with rooms that provide dramatic views of Riga in two different directions, some of which overlook the Freedom Monument and many provide the finest views of the neighboring park. Everything is right here, the hotel encompasses many fine dining options for a mouth-watering breakfast buffet, lunch and dinner, 5 private SPA treatment rooms, spacious wellness, fitness and recreation centre, along with state-of-the-art event space and conference rooms. 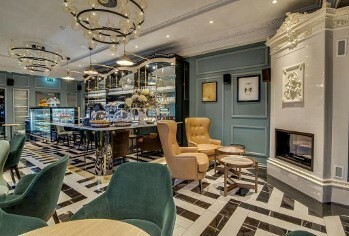 Grand Poet Hotel brings together three historic structures, to create a unified transformed building, guided by renowned Swedish interior designers Stylt Trampoli®, with décor inspired by diplomatic fused with bohemian touches, to create an environment that is proudly unique in design and unashamedly forward thinking in spirit. Standard room equipment: air conditioning, flat screen TV, Interactive TV, lounge area, working desk, in-room safe, minibar, free Internet (Wi-Fi), hairdryer, in-room tea/coffee facilities. 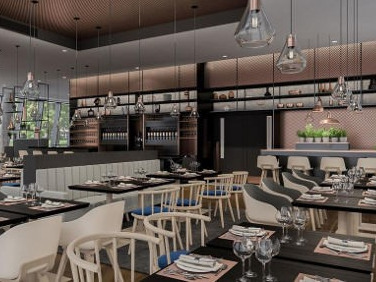 Restaurants & Bars: 14 HORSES – a 40-seat brasserie based on highly seasonal products sourced directly from local suppliers and inspired by Lithuanian and Baltic traditions. Contemporary and charming SOFIJA bar (40-seat) will serve classic and modern cocktails, local craft beers and spirits from artisanal Baltic distilleries as well as champagne, wine from around the world and a selection of snacks inspired by Baltic street food. A beautiful baroque courtyard with a summer terrace perfect for dining and drinks for up to 80 guests. Other facilities: A SPA area featuring three treatment rooms, a sauna, hammam. the SPA is designed to complement guest experience and offers pampering treatments, relaxation and beauty packages. Description: Combining the noble traditions of 17-18th century bon-vivant lifestyle, historical architecture and vibrant modern design, PACAI hotel enjoys the most privileged position in the heart of Vilnius Old Town, on the main Didžioji street. One of the oldest streets in Vilnius, Didžioji street is dotted with boutique shops, embassies, cafes and restaurants. This stunning Baroque palace, the former residence of Lithuanian nobles Pacai, was one of the most ornate in Vilnius for a few centuries. Dating back to 1677, the palace had witnessed the times of Lithuanian-Polish Commonwealth, the rule of Russian tsars and Napoleon’s grand entrance to Vilnius. Rooms seamlessly blend authentic local elements with contemporary sophistication to bring you the ultimate comfort and a unique experience. Suites offer upscale residential experience in the heart of Vilnius Old Town. Large Suites come with lush super king-size beds, stylish contemporary interior, adorned with pieces of authentic history. 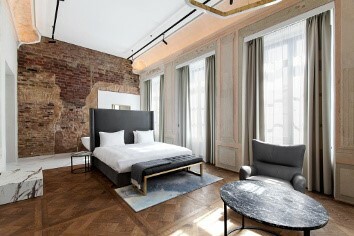 Special notes: PACAI hotel is the first Design Hotel in the Baltic states, opened its doors in the Spring of 2018. Standard room equipment: 50" TV set, mini fridge, hair dryer, electrical kettle, lap-top size safe, working desk, ergonomic chair, individually controlled room temperature and lighting. Restaurants & Bars: 24 hours pantry „The Market“, contemporary a la carte restaurant K&B with terrace and cozy bar. Description: Newly built hotel perfectly located in the modern growing business area overlooking city’s landmark- Gediminas Tower and just steps away from the Old town and the city’s main attractions, numerous shopping, cultural, artistic and entertainment places. Enjoy room space and comfort in line with high technologies. 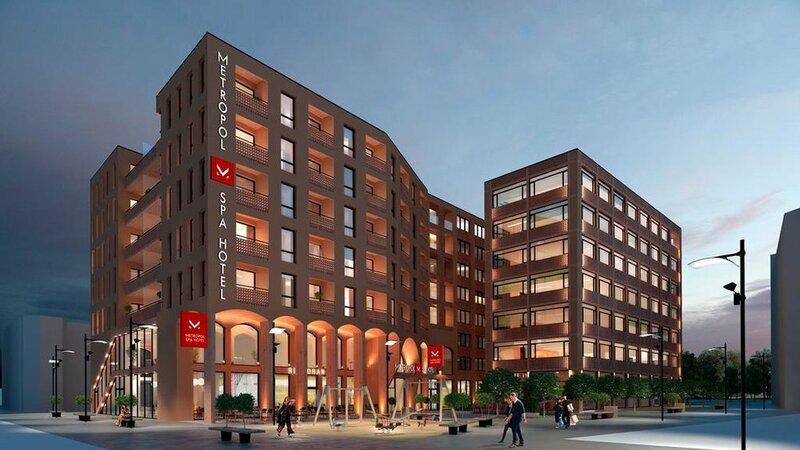 461 guest rooms, giving new dimensions for events in Vilnius. 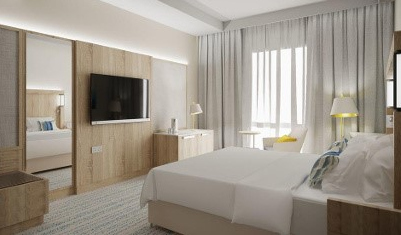 NEW 168 PREMIUM rooms Opened in 2018, the rooms are spacious 24 m2, all amenities including coffee machine. 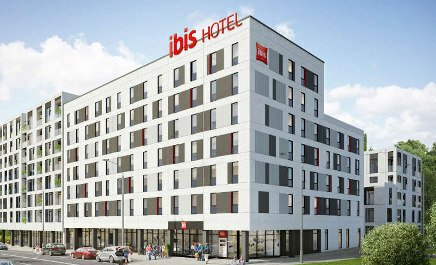 Ibis Vilnius Centre hotel is located in the center of city (~10-15 min walk to the Old Town), within walking distance to the historic Old Town, Gediminas Castle and Cathedral Square. Ideal for business and leisure stays where guests can explore city of Vilnius. It has 164 air conditioned rooms with free Internet access, conference facilities, bar restaurant services.